Based in the Midlands of the UK, Jo consults and coaches locally, nationwide and internationally both in person and through her pioneering online membership college, The Academy of Positive Horsemanship Club, which delivers distance learning and a personalised support network to horse owners throughout the world. She also run workshops, courses and clinics from her base near Lincoln. 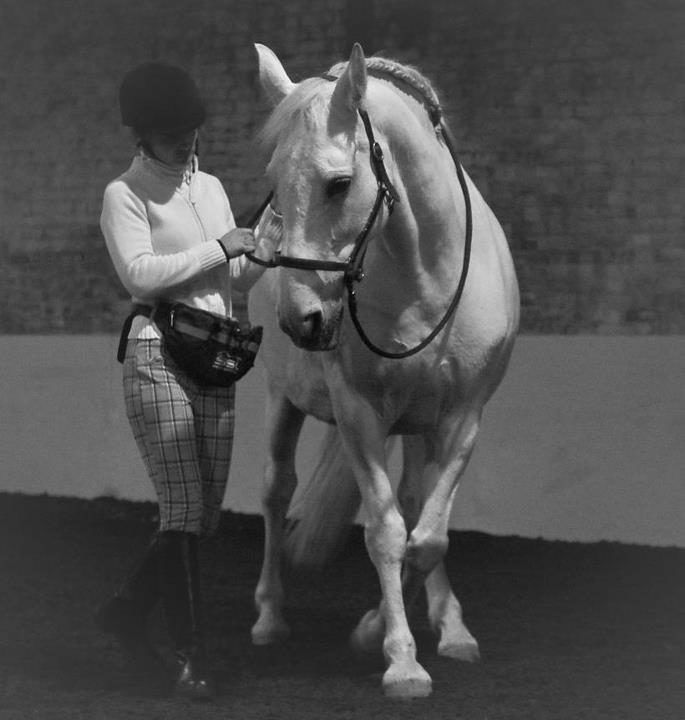 Jo’s coaching inspires trainers/riders from novice to advanced and she is often invited to lecture at universities, colleges, conferences and exhibitions around the UK. 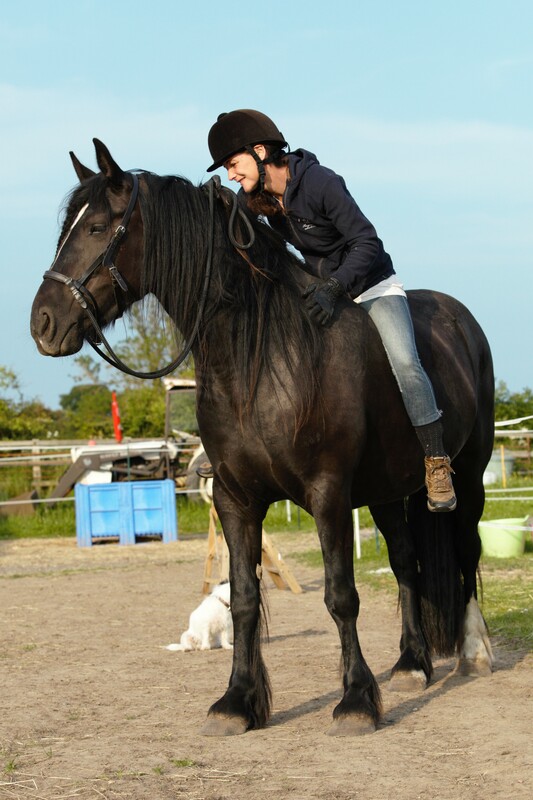 She enjoys working with horses and riders of all ages, types and standards and from all equestrian disciplines. Sign up to our mailing list. Only as an exclusive member of the mailing list will you receive inside access to blogs, offers, giveaways and freebies. We won't pass on your details and we won't spam you either - we dislike it too! You can unsubscribe at any time. "Very simply – acknowledging what makes a horse tick and how they learn most effectively enables us to meet their physical, psychological and emotional needs much better." 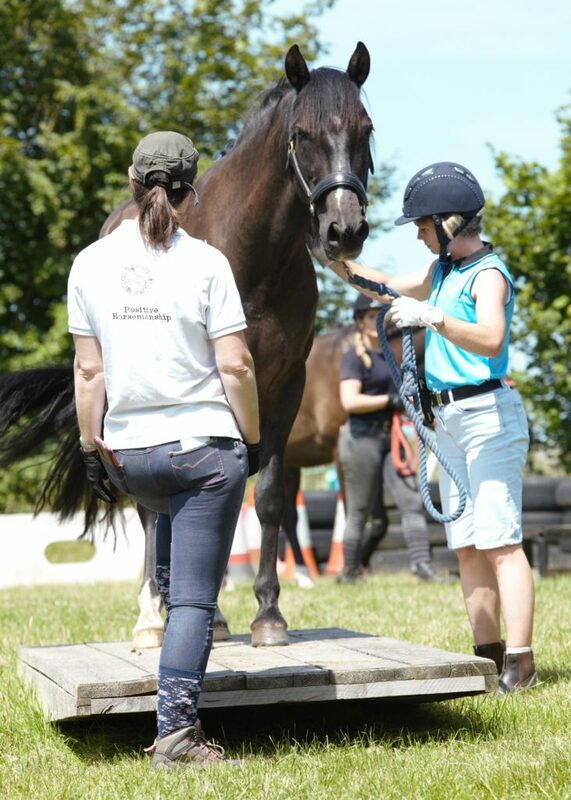 Jo’s philosophy is deeply rooted in a fully holistic mindset of positive, horse-centred care, handling and training no matter whether your goal is to ride at the British Dressage Championships or to simply be able to enjoy an in-hand walk in the countryside with confidence. Through acknowledging the science-based facts as to what makes a horse a horse along with how they learn most effectively, it is possible to better address and meet the horse’s physical, psychological and emotional needs in a way which is both practically achievable and best suited to the individual owner and horse’s situation. Often, the implementation of a few really small changes to daily management practices can result in some pretty huge changes in overall behaviour. Alongside that, Jo coaches actively on training in the least forceful, most positive way within her consulting and lessons. Our aim is to offer our clients complete control and flexibility over their own learning experience. This means each person's coaching, learning and support experience is entirely unique, perfectly matching the individual humans and horses we work with. Whether it’s learning how to go about creating a safe hacking horse from sitting comfortably in your living room, studying the nitty-gritty of the brain science behind how horses experience emotions or actively training groundwork behaviours to your horse using positive reinforcement our online college, The Academy of Positive Horsemanship Club provides just that and a whole load more. Perhaps you are looking for regular live coaching (in person or online) to find long-lasting solutions to your horse’s difficult behaviour problems such as spooking, rearing, bolting, separation anxiety, fearfulness, loading/travelling issues, reactivity or emotional arousal including aggression towards other animals or people. You might even be looking to discover the step-by-step process by which you can positively re-back your older horse whilst making sure they thoroughly enjoy the whole experience. 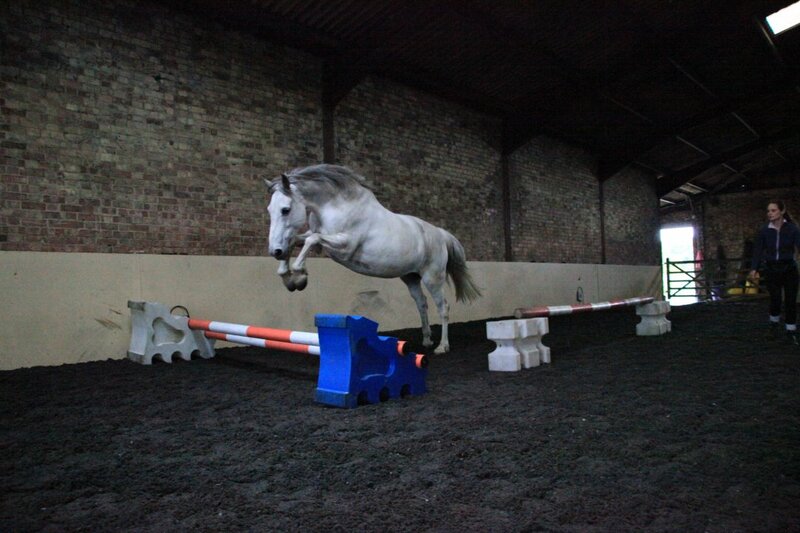 Even if your goal is wanting to develop your horse to become straighter and more balanced by using his body in a healthier way through in-hand gymnastic training or you’d prefer to learn how to encourage him to become lighter and more responsive by developing your classical seat and improved balance and posture in the saddle, Equi-libre Horses can help you to achieve it! At its heart, Equi-libre Horses focuses holistically on behaviour, training and the emotional well-being of both the human student and the horse. Are you brave enough to question your whole horsemanship approach and ready to liberate your entire way of thinking? BE INSPIRED...BE EMPOWERED! Come and join us! I found Jo Hughes when I was looking for someone to help me with my ever-increasing herd of horses, many of whom came to me because of their veterinary and behavioural issues. Having previously worked with traditional horse training methods and various forms of natural horsemanship, I felt that I needed to find someone that would understand my desire to work with my horses in a holistic, empathic way in order to improve my communication with them and ultimately to build a deeper and more authentic relationship with each and every one. With her wealth of experience, pragmatism and endless patience, Jo has helped me to expand my knowledge and broaden my horizons for me and my horses by introducing me to the world of positive reinforcement and clicker training. However, Jo is so much more than a ‘clicker trainer’, she has a knack of identifying core issues for each horse and will develop a bespoke training programme with you to address these issues and overcome them. I have found Jo’s approach to be not only extremely effective but also challenging, stimulating and thought provoking. She has given me new insight into horse behaviour and learning theory and has inspired me to explore new ways of being and working with my horses. I highly recommend Jo as a trainer for all types of horse in any discipline, whether you have a young, inexperienced horse, a misunderstood horse displaying unwanted behaviour or a competition horse that you are looking to improve performance with. If you have an open mind and are looking to improve your relationship with your horse on any level, then I am confident that Jo will be able to help you. As an experienced instructor, rider, trainer and behaviour consultant with a long history in showing, eventing and classical dressage, Jo has extensive practical experience. When asked to describe Jo, her students mention qualities such as dedicated, knowledgeable, compassionate, approachable and supportive with simply endless patience. Jo's brilliance is in her natural ability to inspire, encourage and enthuse others. She is a trailblazer, an innovator, the vanguard at the forefront of the positive horsemanship movement who passionately enthuses people with positive solutions that get results time and time again. One of the things that sets Jo apart from others in the field is her creative ability to find the best, most effective and well-suited solution for each horse-human partnership. Working with literally hundreds of different clients and horses over the years means she has the ability to adapt her coaching and training to the individuals she is working with to ensure that their goals are reached. Jo does not advocate the use of gadgets, force, coercion or punishment. Instead, she does advocate their exact polar opposites; communication, reinforcement, positivity and freedom of choice. She is happy to train horses and riders bitted or bitless.